Effect of Vitamin D Supplementation on Pain: A Systematic Review and Meta-analysis. Pain is a natural part of being human. It is so ingrained into our biology that we “just know” when we experience pain or when others experience pain. It is not uncommon to cringe or feel some pain ourselves when watching others be harmed. Pain is essentially a subjective perceptual experience that originates in sensory receptors throughout the body but is interpreted as pain by the conscious brain. One possible way of classifying pain is in two groups: acute and chronic. We have all experienced acute pain – hitting our head, stubbing our toe, or worst of all, stepping barefoot on a Lego piece. These pain sensations vary greatly in strength and serve as a warning sign that continuing with an action may cause bodily harm or that something about the body isn’t as it should be. However, this pain subsides when the insult is removed or when the damaged area heals. By contrast, chronic pain is defined by the International Association for the Study of Pain as “pain that has persisted beyond normal tissue healing time.” This timeframe is considered to be about three months, although some chronic pain disorders (such as rheumatoid arthritis) are characterized by short, recurrent “flares” of pain. Recent evidence has shown that chronic pain is associated with chemical, functional, and anatomical changes throughout the nervous system. These changes and the pain itself can also be brought about by tissue damage, inflammation, or injury to the nervous system. Although vitamin D’s principal role in the body is to regulate bone health and calcium status, we now know that vitamin D plays a role in many biological processes. Vitamin D deficiency has been linked to various chronic pain conditions and vitamin D may influence the perception of pain through its effects on nerve conduction and health, inflammatory signaling, and immune activation. A number of randomized controlled trials (RCTs) have investigated the effect of vitamin D supplementation on various types of pain, and several review articles have addressed these studies using qualitative (narrative) methods. 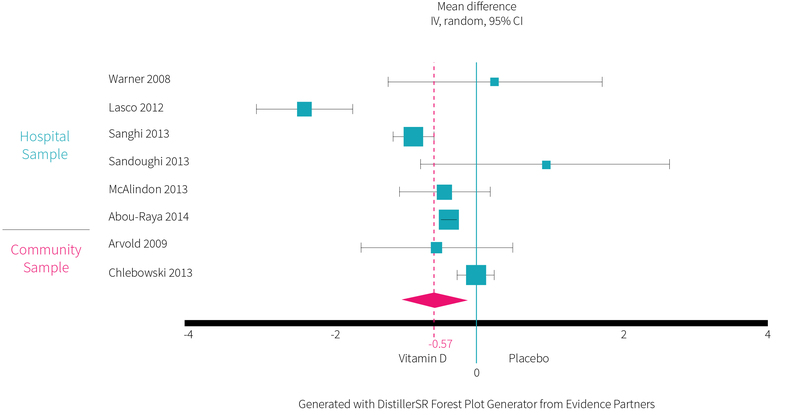 This study performed a quantitative meta-analysis, to show what the full body of trial evidence shows for vitamin D supplementation and pain reduction. Pain is something we are all familiar with, but some individuals suffer from disorders in which pain is chronic or recurring. Vitamin D has been implicated in many of these chronic pain conditions and numerous RCTs have investigated whether vitamin D supplementation can reduce pain in a variety of conditions. The current study was a meta-analysis of RCTs that sought to determine whether vitamin D supplementation can reduce pain compared to placebo. This meta-analysis searched for all vitamin D supplementation RCTs reporting pain-related outcomes, involving adults, and having a duration longer than four weeks. This resulted in a total of 19 studies and 3,436 participants with a median age of 55 years and an average follow-up of three months (range: one to 24 months). The majority of the participants were women, as the studies had a median female population of 76%. Sixteen of the studies were hospital based (recruiting those with pain-related medical conditions) and three were community based (non-medical related recruitment). Some of the pain conditions being studied were rheumatoid arthritis, osteoarthritis, musculoskeletal pain, migraines, and fibromyalgia. The primary outcome of this meta-analysis was predefined as the average change in pain score from baseline to the final follow-up visit of the vitamin D and placebo groups. Secondary outcomes were the average pain score at final follow-up and the number of participants with improvement in pain. The pain score of each study was standardized to a 10-point scale to allow for relevant studies to be included in the analysis regardless of the pain scale used (some of which are shown in Figure 1). The Cochrane Collaboration tool was used to assess the risk of bias of the included studies (check out ERD Issue 15v1 “A Fishy Depression Treatment” for a sidebar about this tool). Funnel plots and Egger’s test were used to examine publication bias (see ERD Issue 2 “Gut bugs and fiber: A novel way to keep dyslipidemia at bay?” for a funnel plot sidebar). This was a meta-analysis of 19 RCTs with 3,436 adults, investigating whether vitamin D supplementation was more effective than placebo at reducing the average pain score from pre- to post-intervention. Secondary outcomes were the average pain score at final follow-up and the number of participants with improvement in pain. Eight of the 19 studies reported on the average change in pain score. Supplementation with vitamin D led to a significantly greater reduction in pain compared to the placebo (by 5.7% or 0.57 points on the 10-point scale). Study-by-study results are shown in Figure 2. A sensitivity analysis, removing each study one by one, did not change the results. However, there was significant heterogeneity, likely due to the inclusion of studies with participants from the community, not all of whom would have pain comparable to participants from clinical studies (hospital patients). Sub-group analyses revealed that a significant benefit with vitamin D supplementation occurred in hospitalized patients with pain-related medical conditions but not in community-dwelling adults. Moreover, there were no differences in the effect of vitamin D supplementation between short-term (less than six months) and long-term (longer than six months) studies or between studies of systemic non-specific pain (fibromyalgia, musculoskeletal pain) and studies of localized pain (low back pain, arthritis, migraine). There weren't enough studies to do a comparison between vitamin D3 and D2, and between high-dose (more than 1000 IU) and low-dose (less than 1000 IU) vitamin D supplementation. Notably, only a single study used vitamin D2 and only two studies used a low dose. Fourteen studies reported on the final pain score and four studies reported on the number of participants with improvement in pain. There was no significant difference between the vitamin D and placebo groups for either outcome, and there were no differences between groups for any of the abovementioned sub-group analyses. Supplementation with vitamin D led to a significantly greater reduction in pain compared to the placebo, without having a significant effect on the final pain score or the number or participants who reported improvements in pain. Sub-group analyses suggest this effect is restricted to individuals with pain-related medical conditions, with no difference between types of pain or supplement duration. This meta-analysis is the first study to quantify the effect of vitamin D supplementation on pain. The results show that vitamin D supplementation significantly reduces pain compared to a placebo by an average of 5.7%. However, the final pain score and the number of individuals who reported improvements in pain were not significantly from the placebo group. The current study’s findings raise an important question towards the practical relevance of vitamin D supplementation. Vitamin D may indeed reduce pain to a statistically significant greater extent than placebo, but is the magnitude of difference from the placebo group clinically relevant? This is an important question, and considering that the amount of pain experienced by the participants at the end of the interventions and that the number of individuals reporting improvements in pain were not significantly different from the placebo group, the answer may be no. After all, the number of participants reporting improvements in pain is arguably the most relevant outcome to daily life, considering that pain is largely subjective. In other words, who cares if the scale actually moved when the person reports being in less pain than before? Vitamin D supplementation did lead to a 38% increased chance of reporting pain improvements compared to the placebo, although this was not statistically significant. It is possible that the low number of studies (only four were used in this analysis) did not provide enough statistical power to detect a significant difference. 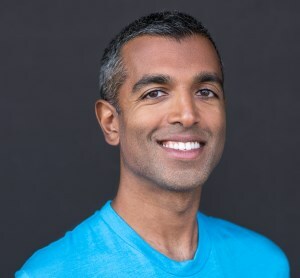 Aside from being the first meta-analysis to quantify whether vitamin D supplementation benefits pain, this study has a couple of strengths: the primary and secondary outcomes were predefined, which reduces the chance of bias in the results, and all pain scales were transformed into a 10-point scale so that more studies could be included in the meta-analysis. Nevertheless, several limitations must also be acknowledged. Not all of the included studies used similar pain scales, which may have explained some of the heterogeneity observed in the primary analysis. Although all scales were transformed to a 10-point scale, there exists a possibility that some differences between pain scales could not be controlled for. Additionally, not enough studies were available to assess the impact of low-dose vs. high-dose vitamin D or the type of vitamin D provided (D2 vs. D3). There is also no information to suggest how baseline vitamin D status or the change in vitamin D status mediated changes in pain. Finally, there are many different types of pain, and this meta-analysis was largely unable to separate them. Subgroup analysis was performed for nonspecific vs. localized pain. While this is an important distinction, it may oversimplify the fact that the underlying mechanisms of pain may be very different for the pathologies considered in the studies evaluated. For example, rheumatoid arthritis is very different from diabetic neuropathy, which is different from migraines, but all three could cause localized pain. It is possible that vitamin D supplementation helps some of these conditions and has no effect on others. This study is the first meta-analysis to investigate how vitamin D supplementation influences pain, and the results suggest that vitamin D has a statistically significant benefit, although the practical relevance remains to be determined. The transition from acute to chronic pain is not well understood but appears to be multifactorial. Although chronic pain is often due to more obvious circumstances such as injury, there are many instances when no physical cause can be readily identified, such as in fibromyalgia or headaches. 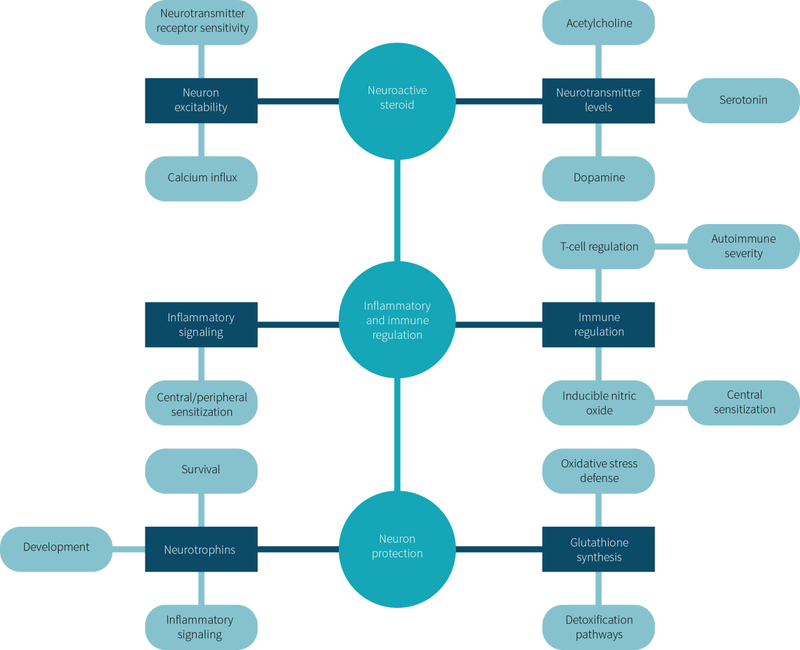 Central sensitization describes the processes through which the nervous system begins to acknowledge previously non-painful stimuli as painful, experiences a lower threshold for generating pain, and/or has an increase in the magnitude of pain. This concept helps explain why several chronic pain conditions may appear together in people afflicted with chronic pain, similar to how insulin resistance mediates the numerous comorbidities of obesity or type 2 diabetes. Vitamin D research has exploded into virtually all parameters of health. The current study provides a much needed objective analysis of the few clinical trials currently available investigating whether vitamin D supplementation helps relieve pain. The results are promising and suggest that vitamin D may play a role in reducing pain, especially among people with chronic pain conditions. There are several ways in which vitamin D may reduce the sensation of pain, with many of them outlined in Figure 3. Vitamin D is a neuroactive steroid with the ability to influence nerve communication through modulating the neurotransmitters acetylcholine, dopamine, and serotonin, as well as activating a variety of signal transduction systems, such as those related to calcium influx and release from intracellular stores. Additionally, vitamin D upregulates the synthesis of several proteins involved in the survival, development, and function of neurons. Since chronic pain is associated with chemical, functional, and anatomical changes throughout the nervous system, these neuroprotective effects may play a role in vitamin D’s effect on pain. Outside of the nervous system, vitamin D may reduce pain sensations by interacting with the immune system to reduce inflammation. Vitamin D has been shown to inhibit COX-2 and thereby may help reduce the formation of pro-inflammatory prostaglandins, which is the same action observed with non-steroidal anti-inflammatory drugs. Chronic pain is not well understood and believed to be multifactorial. There is plausible mechanistic evidence for how vitamin D may reduce the sensation of pain, although more research is required to confirm whether any of these are the true explanation for the findings observed in the current meta-analysis. How prevalent is chronic pain? Chronic pain among adults is reported to be about 17-20% in Australia and about 19% in Europe. However, given the diversity of painful conditions, it can be difficult to accurately estimate the prevalence of chronic pain. One review of 165 studies from 54 countries suggests that low-back-pain alone affects 11.9% of adults worldwide. These studies also note that the elderly tend to experience more pain than younger adults. Can I get the same pain benefits from sun exposure as from a vitamin D supplement? Most likely yes, and possibly more benefit! Relatively few trials have been done on sun exposure and health, because it’s harder to control someone’s total dose without keeping them locked up somewhere. But the limited evidence is telling. For example, a small pilot trial showed that UV-enriched tanning beds could help fibromyalgia pain. While laying in a tanning bed doesn’t exactly equate to sun exposure, it does subject your skin to UV rays. And exposure to UV rays can have several non-vitamin D-related benefits that could help with pain, such as increased endorphin production and nitric oxide synthesis. The current study is the first meta-analysis to date that objectively evaluates how vitamin D influences pain. The results show that vitamin D supplementation reduces pain significantly more than placebo, especially among hospitalized patients with chronic pain conditions. Mechanistic evidence suggests that vitamin D may influence the perception of pain through its effects on neuron communication and health, inflammatory signaling, and immune activation. Further research is required to test how the type (D2/D3) and dose of vitamin D, as well as the vitamin D status of the individual and the type of pain being experienced, influences vitamin D’s effect on pain.